This is actually one of my favorite recipes and I needed a dish for a Christmas potluck this weekend. It became the perfect idea for The Kids Cook Monday! It's a nice simple recipe too, an orzo pasta based with pineapples, oranges and cherries, complete with whipped cream and a pineapple pudding. I think it has serious bento potential--it's doesn't have a liquid-type sauce, so it shouldn't leak onto everything nearby! Bring to boil cooking till thickened. 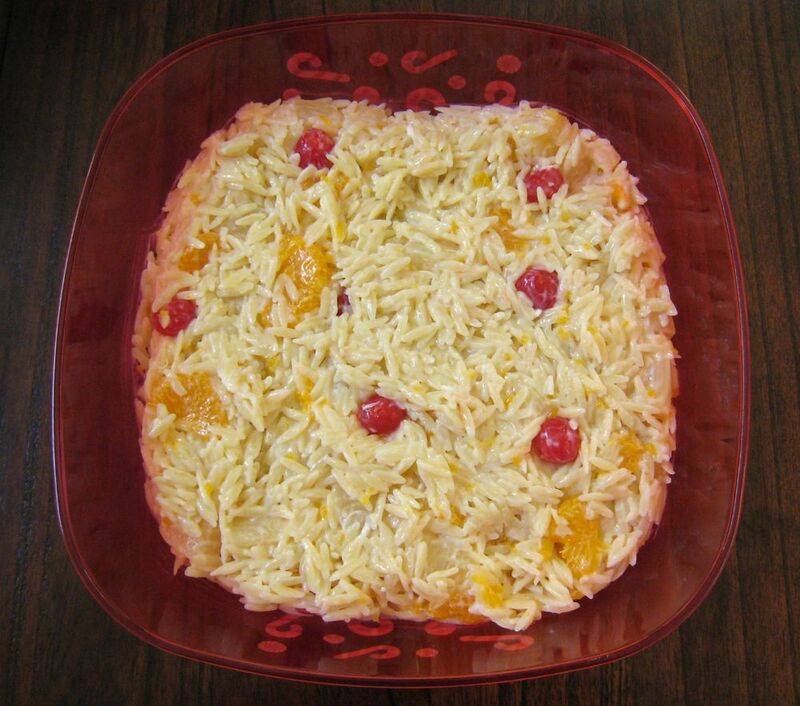 Combine orzo, fruit (drain cherries & oranges, and pineapple mixture. Mix in whipped topping, refrigerate until served.